The specialists at United Services can restore the air quality of your home or office. Give us a call at 1-855-838-3925 or get an online estimate for smoke odor removal and comprehensive deodorization in Kenosha, Waukegan, Arlington Heights and nearby areas throughout Northern Illinois, Southern Wisconsin. Regardless of the cause of your odor problem, the trained experts at United Services have the experience and equipment to identify and eliminate any offensive odors. There's no reason why you should have to breathe harmful odors or have to hold your nose every time you walk into your home or office. We can typically remove all odors without leaving a trace. At United Services, we provide comprehensive, start-to-finish disaster recovery and disaster restoration services to residential and commercial clients. Like all our disaster recovery services, our deodorization services are designed to get you and your property back to normal in the fastest, most-affordable manner possible. Get your property and your life back to normal with expert deodorization services from United Services. 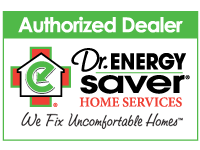 Call today or contact us online for an inspection and deodorization estimate in Highland Park, Lake Forest, Wilmette, Kenilworth, Lake Bluff, Palatine, Evanston, Janesville, Des Plaines, Skokie and the surrounding areas of Illinois & Wisconsin.